Taylor Castro always knew she wanted to do something to help the community. She works as a Document Control Coordinator for the South Texas Blood & Tissue Center and has volunteered for community events like World Marrow Donor Day. Little did the 25-year-old know that one day she would be the one in need. In October 2018, just six months after giving birth to her youngest child, Taylor went to the doctor with an ear infection. After testing, she was diagnosed with acute myeloid leukemia. Taylor is currently receiving treatment in Houston. Her husband has joined her, but her three children remain in San Antonio with their grandparents. Taylor’s treatment includes chemotherapy and regular blood and platelet transfusions. She is also searching for a marrow or stem cell match. 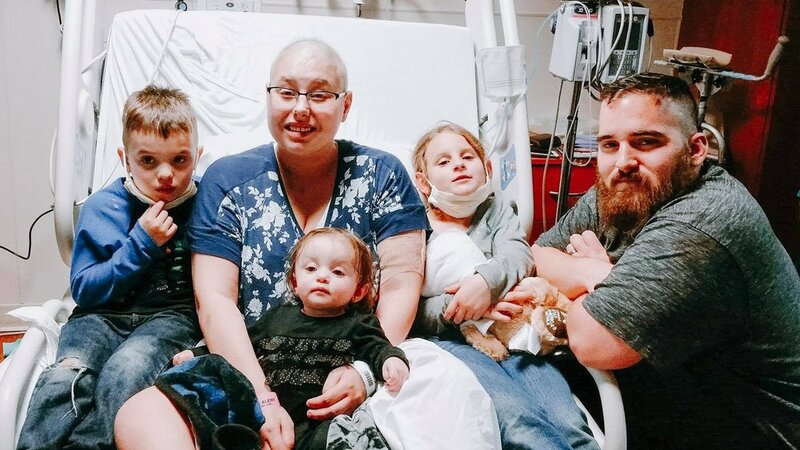 While Taylor fights for her life, she hopes her story will inspire people to join the marrow registry, if not for herself, than for other patients. Support Taylor by joining the Be the Match Registry®. Text GENCURE to 61474 or visit join.bethematch.org/taylor to start the registration process. Follow Taylor’s journey through her Facebook page.